From 1980-1983 I held the envious position of director of education at the New Alchemy Institute. New Alchemy was an amazing “think-do” tank operating on an abandoned 12-acre dairy farm on Cape Cod. Inspired by the likes of Rachel Carson, Wendell Berry, E. F. Schumacher, and Buckminster Fuller, among others, the institute emerged from the protests in the aftermath of the first Earth Day in 1970 as the premier agent of change to a sustainable future. 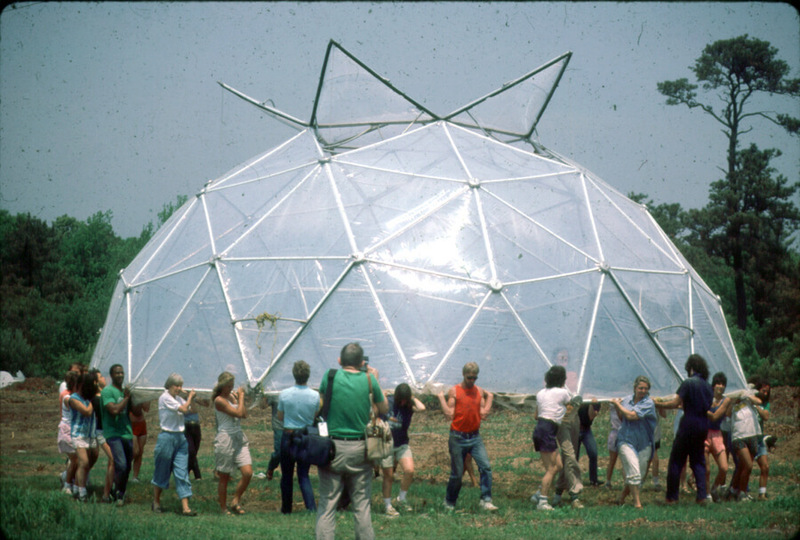 Its landscape was dotted with raised bed organic gardens, fiberglass tanks filled with tilapia, and strange looking structures including a state-of-the-art Bioshelter greenhouse called The Cape Cod Ark and iconic geodesic domes. The journey that led me to the New Alchemy Institute was guided by my discovery of the insights of Fuller. A freshman at Tufts University in 1967, I was engaged in a personal struggle to reconcile the goals of the civil rights and environmental movements. My African American colleagues considered the latter to be irrelevant at best, and downright counterproductive to the goals of blacks in the eyes of many. Limited-growth slogans rang hollow, suggesting the door was closed to those still struggling to achieve economic equality. Bucky’s discovery and physical modeling of Nature’s exquisite coordinate system/design strategy that optimizes life support while minimizing the expenditure of energy (“doing more with less” as he was fond of saying) pointed to a way out of my conundrum. 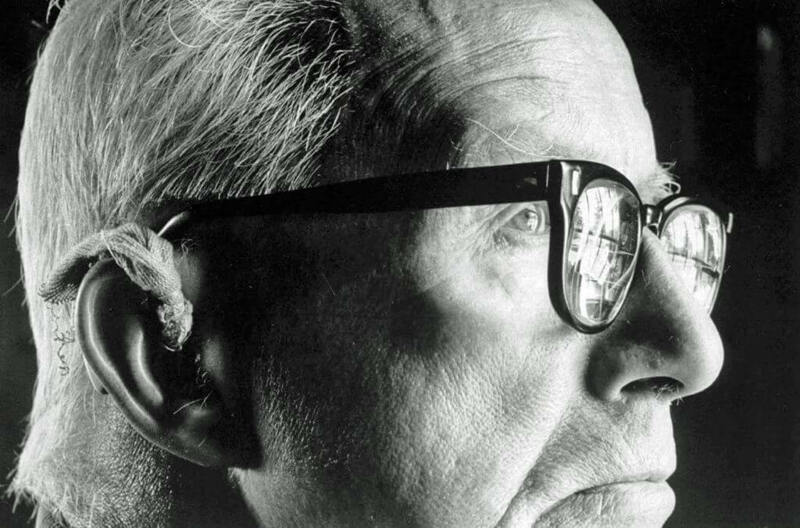 It was the construction of an innovative “Pillow-Dome” that brought Bucky Fuller to New Alchemy in 1982. I’m convinced that Bucky was our 20th Century da Vinci. At 92 years of age, this true Renaissance Man took a red-eye from California to Boston in early June. The “Pillow-Dome” at New Alchemy. At left in green is author Greg Watson. I accompanied J. Baldwin, design editor of the innovative Whole Earth Catalog, student and friend of Bucky to Boston’s Logan airport to pick up Bucky and drive him to New Alchemy. Fuller could clearly sense that I was in awe of him but his gentle manner made me feel totally relaxed. That was until we drove over the Bourne Bridge and were within minutes of New Alchemy. At that point he reached inside his worn briefcase and pulled out a folder. My hands shook as I cradled the folder that contained his draft of what would be his final book “Grunch of Giants”. When we arrived at New Alchemy I bolted to my office, locked the door and read through the book, as time seemed suspended. “Grunch” really was a profound book. In it Bucky described what he called “The army of abstract legal entities (called corporations)” that control the economic and political future of humanity. I was particularly struck by his powerful prose poem entitled “Integrity”. He paused and said that he was particularly pleased with that as well. Then he asked me if I would read it aloud to everyone. Flash forward to 2016. While in the process of cleaning out my files, I came across a Xerox copy of “Integrity”. I must have asked to make a copy of it when Bucky was at New Alchemy, but I can’t say for sure how I came to have it. It was of rather poor quality and a couple of words were obscured by the holes created by a three-ring binder. As I thought back on that wonderful day in 1982 it dawned on me that “Integrity” was not included in “Grunch of Giants”. I contacted folks at the Buckminster Fuller Institute (BFI) to see if they could tell me why that was so and where the poem may have been published. And that’s when things got very interesting. No one at BFI had ever seen “Integrity”. In fact, no one was even aware that it existed. They checked the archives. No “Integrity”. I did a bit of sleuthing. The copy I had is dated May 28, 1982. Bucky visited New Alchemy and shared his draft manuscript with me in early June 1982. This couldn’t be a forgery. I mean, I read it in front of Bucky and the New Alchemy staff. For a while I had this awful feeling that maybe I had inadvertently scoffed the only copy of the piece and that’s why it didn’t appear in the book. I realized that that was really not possible. Bucky’s mind was razor-sharp and he surely would have noticed its absence. Watching Donald Trump’s deplorable performance during ceremonies allegedly to celebrate Black History Month, I was compelled to take another look at “Integrity”. As I pulled out my copy, I thought I’d contact BFI one more time to see if they may have uncovered some information about it. Nope. The mystery surrounding “Integrity” remained intact. At this point I called a friend and told him that I really needed to re-read the prose poem very carefully. When I did, something pretty amazing occurred. I realized that one word that I at first thought was a typo was actually one of Bucky’s linguistic inventions. It took our unfolding political melodrama for me to see it and grasp its prescience. We are being taken for a ride and we best open our eyes to see where the road we’re traveling on is heading. This sham is not the end game (see “How to Build an Autocracy” in the March 2017 issue of The Atlantic). The full text of Greg Watson’s brilliant and timely essay In Search of Integrity, together with explanatory graphs and pictures may be read here. Greg has also included Buckminster Fuller’s marvelous, but rarely seen prose poem, Integrity, in its entirety. 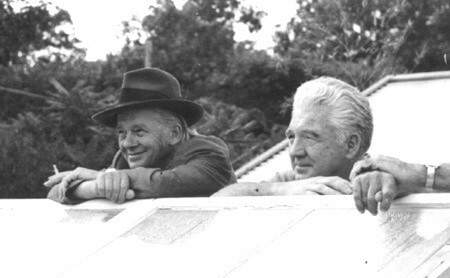 E. F. Schumacher and Robert Swann, co-founder of the Schumacher Center for a New Economics, at New Alchemy Institute, 1974. They clearly liked what they were seeing!